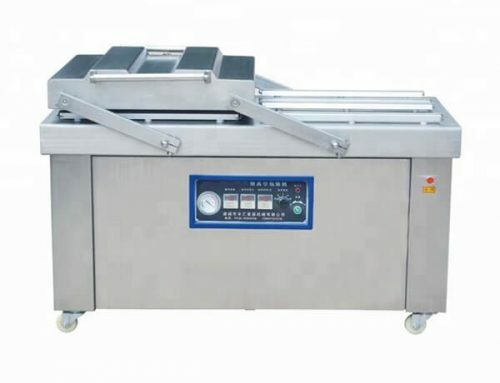 The fully automatic vacuum packing machine is new type packing equipment which is also called fully automatic stretching film vacuum packaging machine, it adopts world high-end programmable controller, touch screen man-machine interface and precision servo motor drive system, and equipped with the world-class original German vacuum pump. 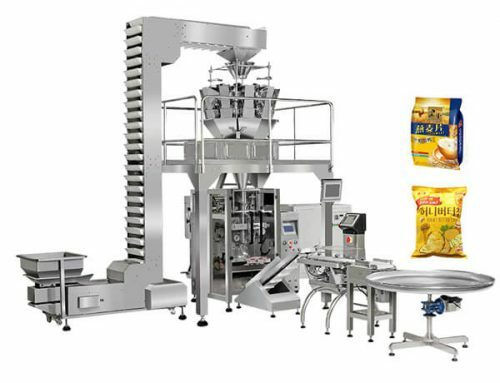 This vacuum packing machine can finish the whole stretching film packaging process with high efficiency, large output and high precision, ideal equipment for the food processing industry. 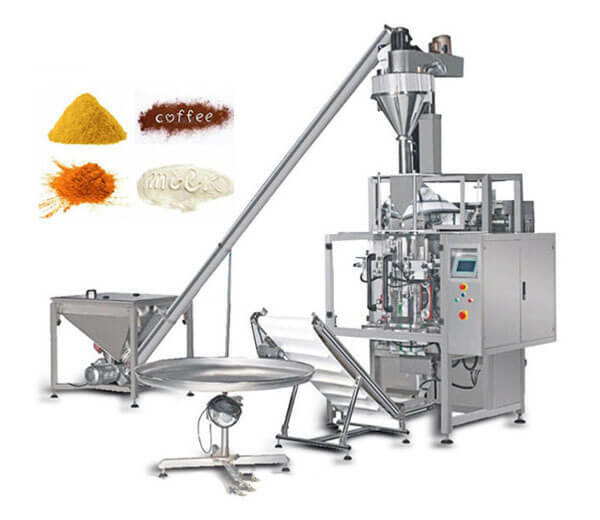 ▲ Adopts Japan Mitsubishi touching screen, PLC and step-motion control system, simple adjustment, high step control precision, high automation. ▲ Equipped with world first-class original German vacuum pump, a high degree of vacuum, steady quality and good durability. 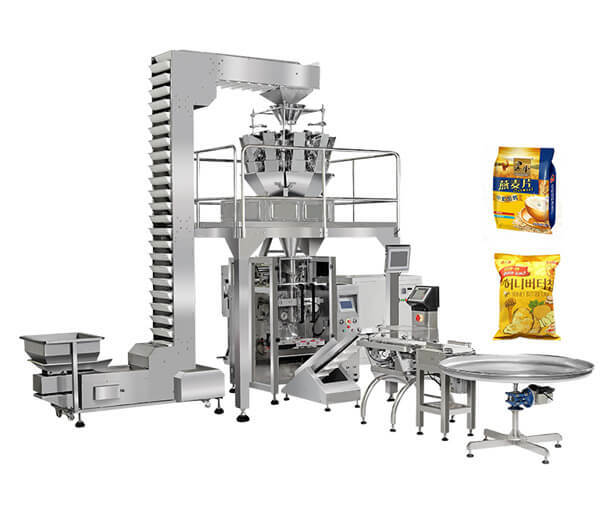 ▲ With advanced transverse and longitudinal cutting system, easy to separate the end products, making the products with good packaging effect. ▲ Covering film can choose color film or light film, through a simple operation, choose color film or light film on the same equipment. 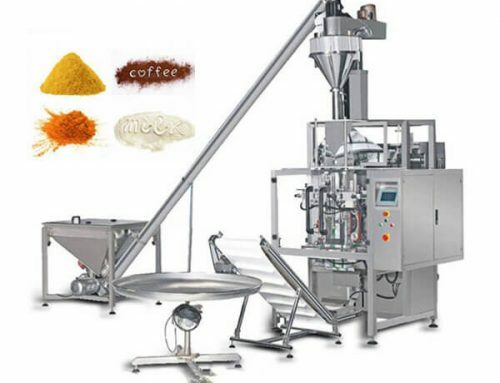 ▲ An automatic coding system can be installed according to the requirements of customers. 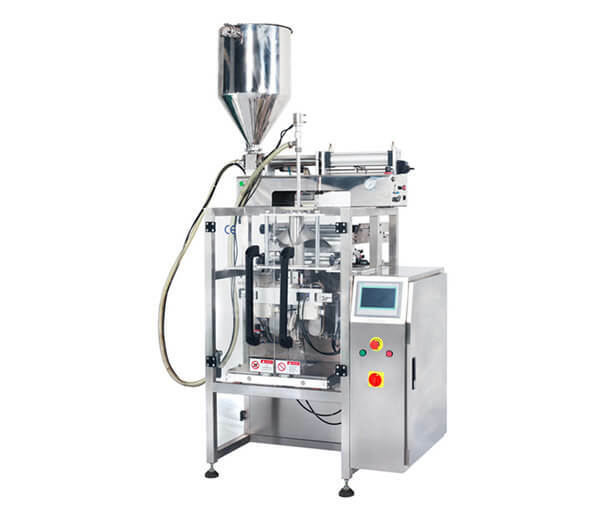 ▲ According to customer’s product packaging requirements on the basis of the vacuum, can charge N2, 02, CO2 gas mixture or pure gas. Mixed gas proportion can be adjusted by air controller. 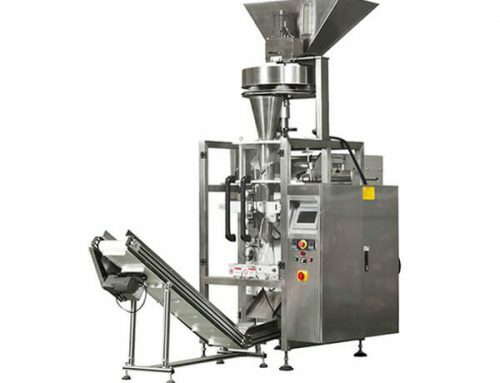 ▲ Mould can be customized and designed according to the clients’ requirement, the combined mold is easy to exchange and utilized in more machines. 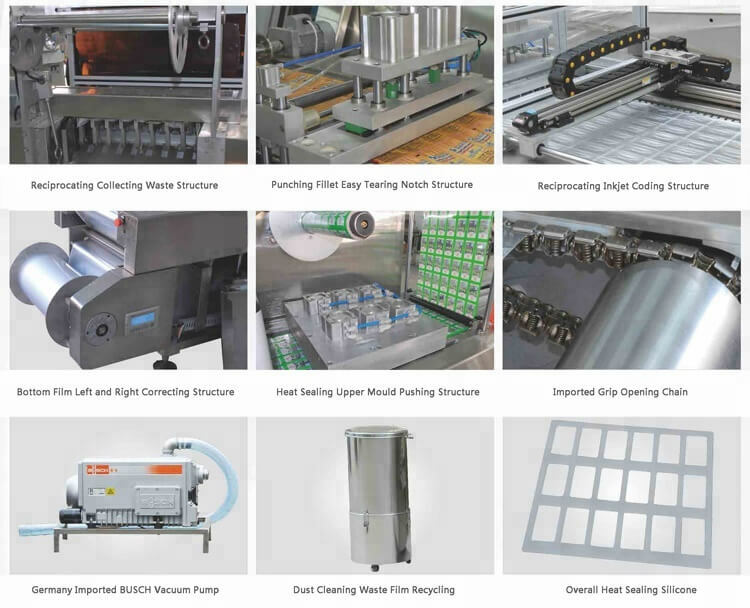 ▲ Stainless steel material, waste recycling system, good environment, clean and healthy. 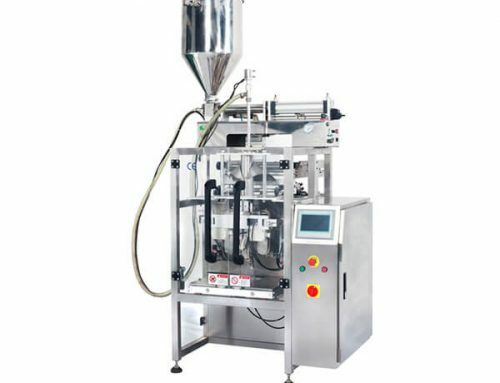 ⊙ Fully automatic stretching film vacuum packaging machine can be used to vacuum, fill and pack for all kinds of food, meat products, seafood products, bean products, fruits and vegetables, refrigerated meat, hardware, electronic element, pharmacy, medical apparatus and instruments, hypodermic needles and infusion apparatus, etc. ⊙ The packaging material can be plastics-plastics, paper-plastic and stiff-plastic. Why the Food Need to Vacuum Packaging? 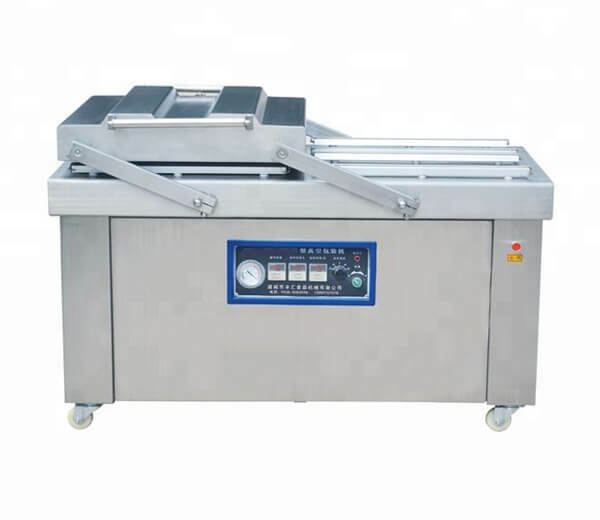 ⊙ The vacuum packing machine can remove part of air or oxygen in the packing container, effectively prevent food spoilage. 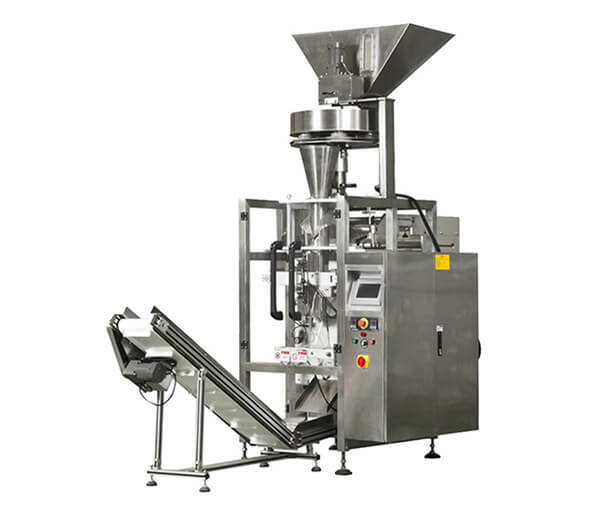 ⊙ Using air tightness excellent packaging materials and strict sealing technology, can not only avoid the loss of food weight and taste but also prevent secondary pollution. ⊙ No air in the vacuum packing container can improve the efficiency of thermal sterilization, as well as avoid packaging container rupture due to the expansion of the gas when heating and sterilizing.